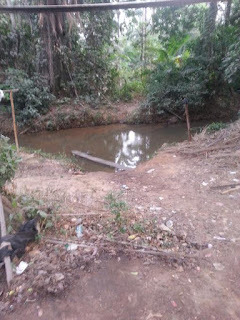 Much may never have been heard or written about Awube stream in Ipole Ugbugbu Owukpa, Ogbadibo local government Area of Benue State, but the stream, according to the people is their major source of livelihood. A community that has existed since over three-hundred years ago has had its existence tied to the mysterious Awube stream. The River, to an average Ugbugbu person, is second to God as it is the only source of water in the small community. One thing about the stream is that the people bath and wash inside it, yet they drink and cook with it. Every Ugbugbu bred drinks the water that can ordinarily be termed unhygienic. There is usually no method of eliminating likely germs as the water is drank just the way it is fetched. It is strange for an Ugbugbu bred to boil the water fetched from Awube stream before drinking. Yet, no known water-related disease or sickness has been recorded in the community despite the fact that the people freely use the water. 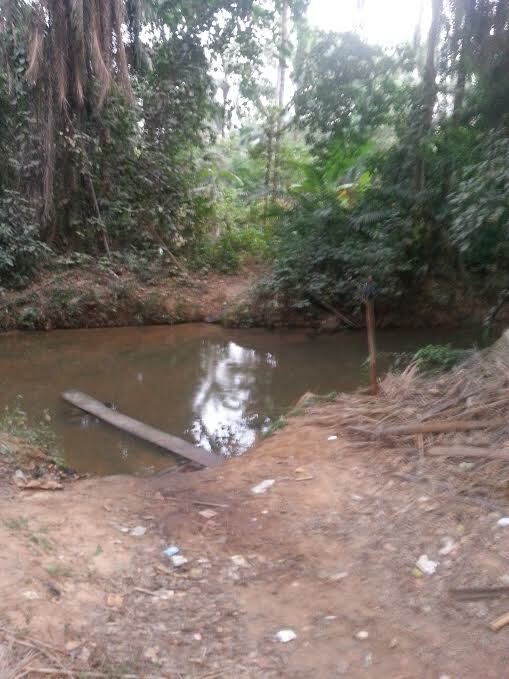 The stream that flows from Amala in Enugu State through Eke-Akpa does not dry up at any point in time. It flows throughout the year in defiance of seasonal variation. 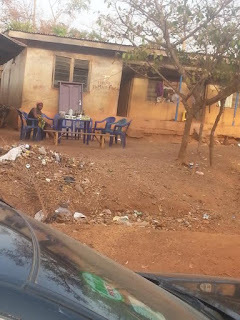 In Ugbugbu, Awube is divided into two sections – the up section ( Okpa-ogicho) and the down section ( Okpa-ogaje).The up section is usually where the men bath. It’s separated from the down section so the men and women do not see themselves while bathing. Ironically, it’s the women who fetch water for drinking, hence they are forced to fetch the sweat and dirt the men wash off their bodies. Most men who bath inside the Awube stream spit and urinate inside the same stream, though there is a myth that whoever urinates inside the stream will become impotent. What a sane Ugbugbu child will not do is to defecate inside the stream, as such is deemed irreverent and sacrilegious. It’s, however, strange that despite the growing civilization in different communities and villages, the people of Ugbugbu continue to drink and bath with the water whose source has remained a mystery. 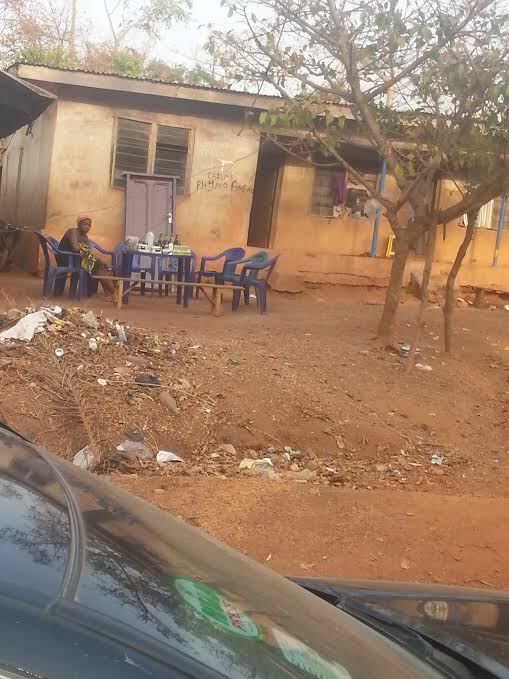 Amazed by this trend, DAILY POST reporter, Adoyi Ali embarked on a trip to Ugbugbu to get to know more about the unsung Awube. But on getting to the stream, a young man, who gave his name as Isaac, and was bathing in the stream at the time of the visit, warned him against taking any image of the stream as one of the late chief priests had warned years ago against the publication of stories that will expose activities around it. But our reporter, who went back to the village on Isaac’s advice, returned later in the evening to take the image of the stream via his mobile phone camera, and to his shock, an image similar to a human head appeared right in the middle of the stream when he was about taking the shot.